A smoking dragon, a spinning dice, a circus tent, Vegas singing Principal Wells, and many memories captured and recreated on top of a moving piece of plywood. Homecoming week has a lot apart of it like club carnival, Homecoming rally, SLC decorating, and the big Homecoming dance at the end of the week, but what not everyone thinks of is the grueling hours it takes to create one of the centerpieces that’s apart of the big Homecoming parade, the class floats. 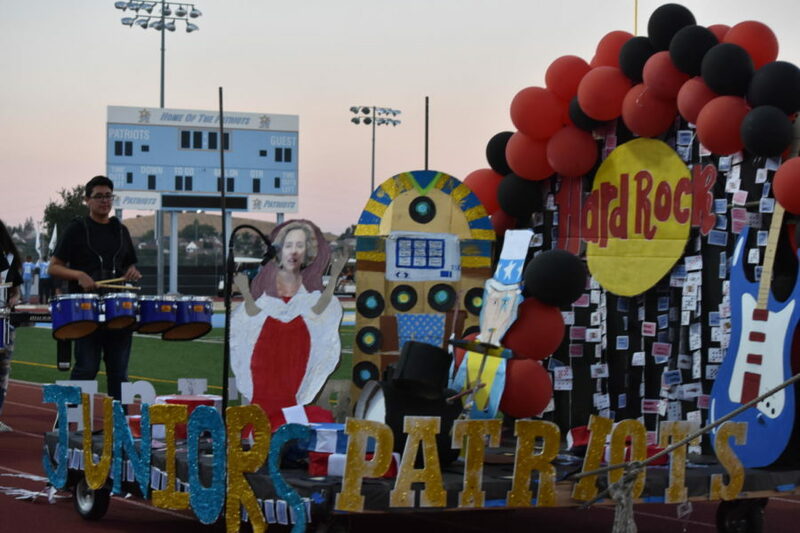 Since August 30th, 5 hours a day for 4 days before the day of the parade, many volunteers and leadership kids came together to help out their class officers to create the best float possible that represents their theme for their graduating class. Before the nails hit the wood, the meeting for theme had to take place first. “The ideas come first from the class officers, but then we hold a class meeting to ask our classmates who plan to come to float building what they think of our idea and what we should add or change,” explained Abigail Nomura (12). Some may think that it’s just leadership that builds and decorates the floats, but in actuality, many from all different kind of social groups go and volunteer. “Tons of not just leadership kids, but everyone pitched in and it was amazing to see,” said Kayleigh Miller (12). “The whole experience was well worth the time and I’m glad I did it. 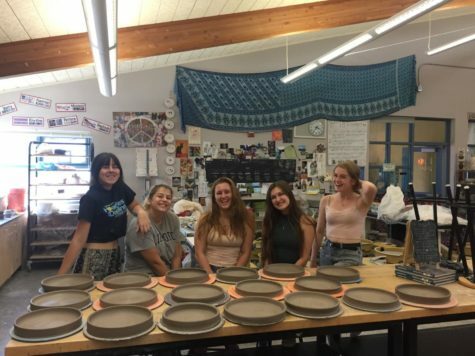 I most definitely will be doing it again next year and just seeing the finished product of what you helped make is pretty cool,” explained Annabelle Irwin (10). Float building is a big part of the Homecoming traditions that takes place every year. Some have been participating since their Freshman year and others have just started to join in on the fun. “I have done float building for the past 3 years acting as the class officer and can proudly say that I have gone to every single day of float building for the past 3 years,” proudly exclaimed Nomura. Not everything during Homecoming week turns out to be flawless like the dance. The floats had a few hiccups along the way, but in the end, there were no regrets. “There were unfortunate events that occurred like the senior class float wheel’s popping last minute, but a bunch of guys chipped in to help carry it and save the float. In the end, everything worked out and made the Senior class proud,” explained Miller. Almost 20 hours of work, in the end, paid off as the entire school enjoyed all the floats during the Homecoming parade. For the Seniors, it was their last time building and the Freshman their first, Homecoming floats will forever be a big part of the Homecoming week traditions.